Please type your desired tags, e.g. Organic, Infectious Disease, Cognition and Neuroscience, Molecular Evolution, Bio-Organic, Bionanosciences, Systems Engineering, HiC, Medical Rhetoric, Marketing, Social Change, Chess, Communication, Heroic Archetypes, Genre theory, and etc. Dr. Dollaghan studies the nature, identification and outcomes of language and other communication disorders in young children, including children with specific language impairment and children recovering from traumatic brain injury. 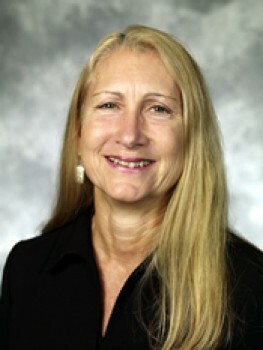 Her interests also include evidence-based practice and clinical decision-making. Also in Biological and sociodemographic influences on child language. Validity of diagnostic categories and diagnostic indicators. Models of lexical acquisition and processing. 2003–2003	Rusiewicz, H. L., Dollaghan, C. A., & Campbell, T. F., Poster, American Speech-Language-Hearing Association Annual Convention, Chicago, 11/03. 2006–2007	Gillam, R., Dollaghan, C., Fey, M., Hewitt, L., & Schuele, C. M., Presented at the American Speech-Language-Hearing Association Annual Convention, Miami, 11/06. 4–4	Campbell, T. F., & Dollaghan, C. A., Presented at the Seventh World Congress on Brain Injury, Lisbon, Portugal, 4/08. 2005–2006	Rusiewicz, H. L., Campbell, T. F., & Dollaghan, C. A., Poster, American Speech-Language-Hearing Association Annual Convention, San Diego, 11/05. Chris Dollaghan completed her BA in linguistics at Wesleyan University (Middletown, CT) and her MA and PhD in communicative disorders at the University of Montana and the University of Wisconsin-Madison, respectively. She was a professor at the University of Pittsburgh prior to joining the School of Behavioral and Brain Sciences in 2006. She received the Honors of the American Speech-Language-Hearing Association in 2012. Recent studies by a UT Dallas researcher aim at finding better ways to diagnose young children with language impairments. 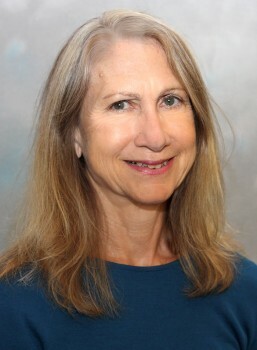 Dr. Christine Dollaghan, a professor at the Callier Center for Communication Disorders and the School of Behavioral and Brain Sciences, is author of a paper in the Journal of Speech, Language, and Hearing Research. The study evaluated data collected from a large sample of about 600 children. Some of the participants had specific language impairments, or SLI. She wanted to deterimine whether SLI should be regarded as a discrete diagnostic category. As in the earlier investigation, she found the 6-year-olds with SLI did not represent a distinct group with unique characteristics Instead, they fell at the lower end of a continuous distribution of language skills. The results of the study could help in developing diagnostic protocols for children with language impairment and tailoring treatments to the characteristics of individual children. Dollaghan said the categorical-continuous question is being examined by investigators interested in many other diagnostic categories, including autism, schizophrenia and ADHD. Dr. Christine Dollaghan, a professor in UT Dallas’ School of Behavioral and Brain Sciences (BBS), received the American Speech-Language-Hearing Association’s (ASHA) top award during this fall’s national convention. Dollaghan was selected for Honors of the Association, which recognizes members who have made distinguished contributions to the field of communication sciences and disorders. Recipients have earned the respect of colleagues around the world for long careers of innovative and insightful research, impressive clinical practice, outstanding teaching or for other significant accomplishments. 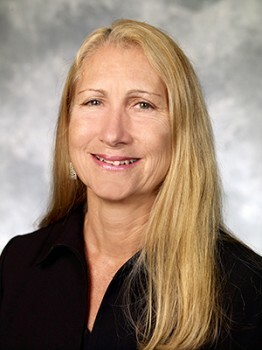 Dollaghan conducts research and teaches at the Callier Center for Communication Disorders. She has played a leading role in shaping evidence-based practice in communication disorders, chairing ASHA’s Research and Scientific Affairs Committee and the Advisory Committee on Evidence-based Practice. Dollaghan’s Handbook of Evidence-Based Practice in Communication Disorders is widely used by researchers, clinicians, faculty and students. A panel of national experts — which included a UT Dallas professor — recently released a report that said the number of children diagnosed with speech and language disorders in the U.S. is increasing. The committee was organized by the National Academies of Sciences, Engineering, and Medicine at the request of the Social Security Administration’s Office of Disability Policy. The Social Security office has seen an increase in the number of children receiving Supplemental Security Income (SSI) for speech and language disorders and wanted to get the facts from industry experts.